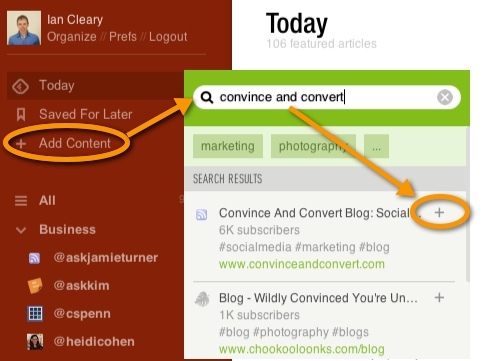 Content Discovery is a really important part to Social Media Marketing. You need to find and share great content which sometimes includes your own! But finding great content is so time consuming and time is a luxury we cannot afford! In this article we discuss 3 very useful tools we use on a daily basis that helps us find great content worth sharing. 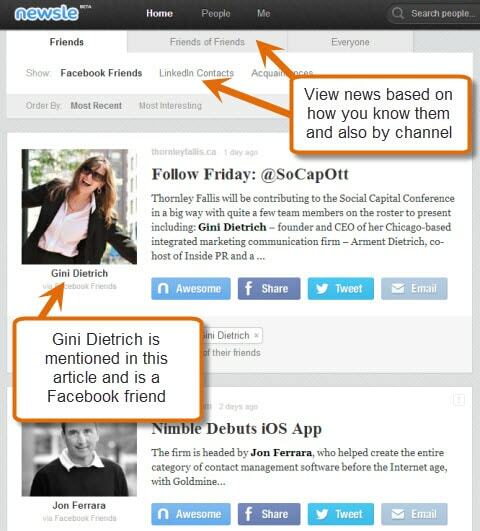 Scoop.it is a content sharing and discovery platform based around interests. You create a board based on content you are interested in and then you can add content to this board. When you create a board based on the keywords Scoop.it suggests content based on what is popular. In the example below the content suggested was based on the ‘social media tools’ filter set up for the board. When you find content you want to share, select it and then add it to the board. You can then share it out to your social media channels. 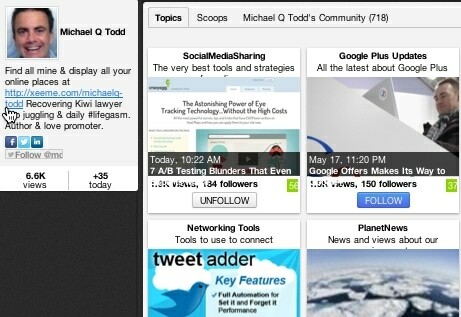 Over time other Scoop.it users will start following your board and also begin to share out your content. 2. 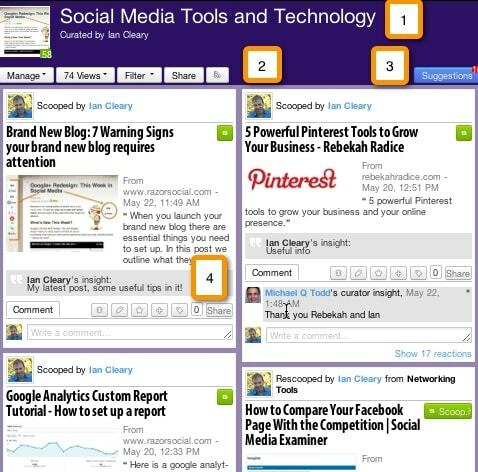 You can change the board details, see how many people viewed the board, filter content on the board or share out content. 4. These are the editing options for a board item. You can delete, edit, highlight this item with a star, move the item, tag or share the board item. To find great content from other people that have boards you can ‘follow’ their board. For example, Michael Todd provides some good content so you could follow his board. 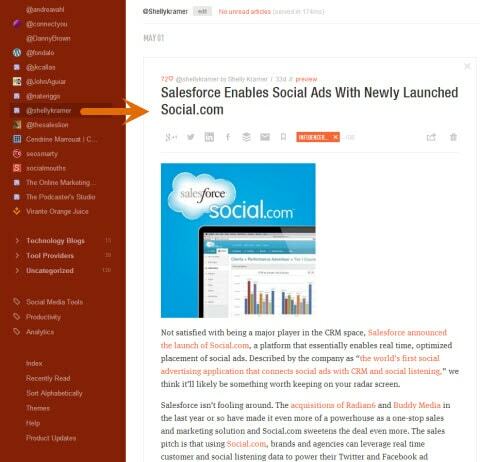 This saves you time as you find content that is already curated by someone else. 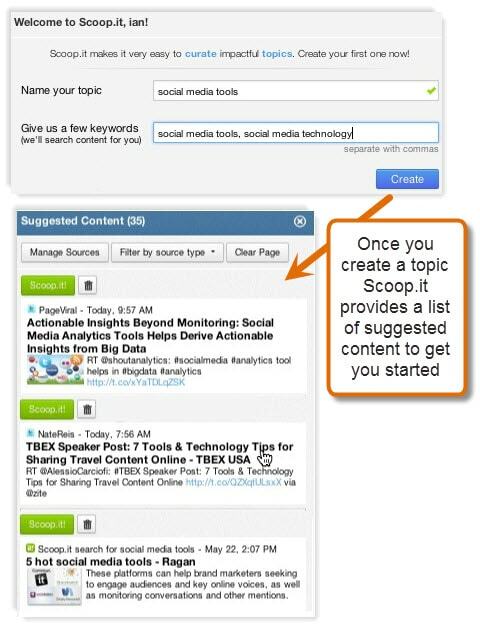 Scoop.it is a very useful tool for finding content and connecting with other people that will find content for you! If you want to track content from a range of different bloggers you can visit their blogs on a regular basis, get email alerts or subscribe to the blogs and view the latest posts within Feedly. The best option when you subscribe to a good few blogs (e.g. more than 10) is to use Feedly. Integrates with Buffer – When you find content to share you can add it to the buffer app. This means content is added to a queue and sent out at the next available slot that you configured. View posts the way it suits you – There are some excellent configuration options for viewing posts. For example, you can browse through summaries of all posts, save posts for later viewing or tag articles so you can find them in the future. Pinterest integration – You can pin images directly to your Pinterest boards from within Feedly. Popular articles highlighted – Be default Feedly will show you the most shared items at the top of the application under a featured article section. Adding content to Feedly is easy. You just search for the blog/blogger and click add ‘+’. When you want to browse through new content this is how Feedly can look (there are various configuration options). 1. This is for managing your preferences. You can change how you view your content through this option. 2. If you come across an interesting article you may want to add it to a queue to view later. You can also add new feeds from this area. 4. This is the list of blogs you have subscribed to. In this example above the feeds are named with the twitter address of the person. This saves time when sharing out content as you don’t have to remember the twitter address! When you want to read an individual post this is how it appears. 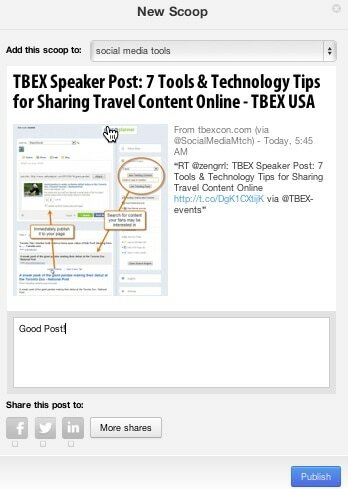 For each post there is a wide variety of sharing options. This sharing options are Google +, Twitter, LinkedIn, Facebook, Buffer, send to email, mark to read it later, add tags to identify content, forward to other sources (Evernote, Instapaper, Pocket, Delicious) or delete the item from your feed. If you subscribe to a lot of blogs you really need to use a ‘reader’ application such as Feedly. 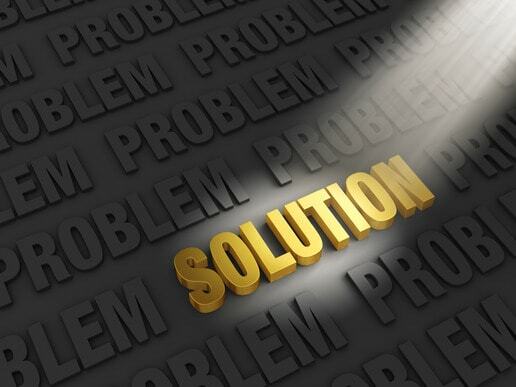 We’ve investigated a lot of different options and this is one of the best ones to use. When people in your network are in the news it’s great to hear about this so you can share out their article. 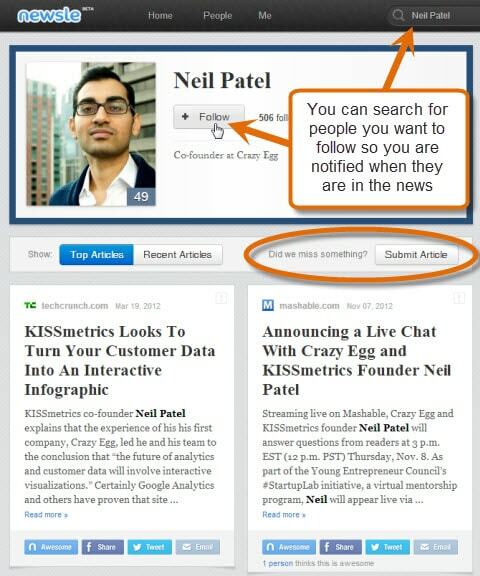 Newsle tracks a wide variety of online publications and checks to see who in your network had made the news. Each day you get an e-mail from Newsle and quite often you’ll find articles that wouldn’t have come across through other means. Follow people that are not in your network but you’d like to track. 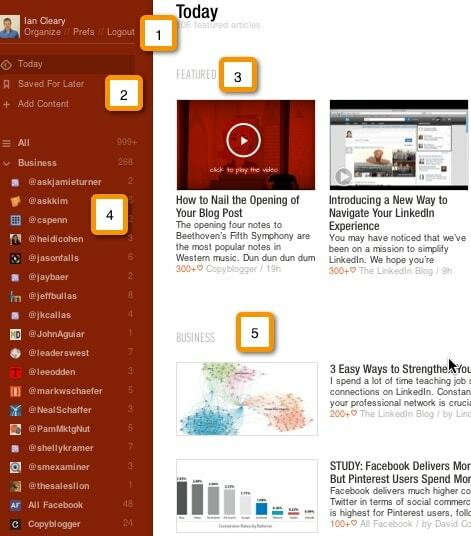 When Newsle discovers new content you can then share it out to your social network of choice. If there is someone you want to track that may not be in your social network you can search for this person and add them on to your list. Summary – Newsle is quite different that other content curation tools because it’s only focussing on finding articles for you for people you are connected with or want to follow. This is very useful to build relationships with your network connections, track their top news, track journalists you want to build relationships with and much more. It’s really important to be able to find and share great content to your social network. 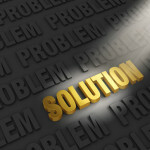 These tools provide great help reducing the time required to find this content. Do you use any of these tools? What other tools would you recommend?